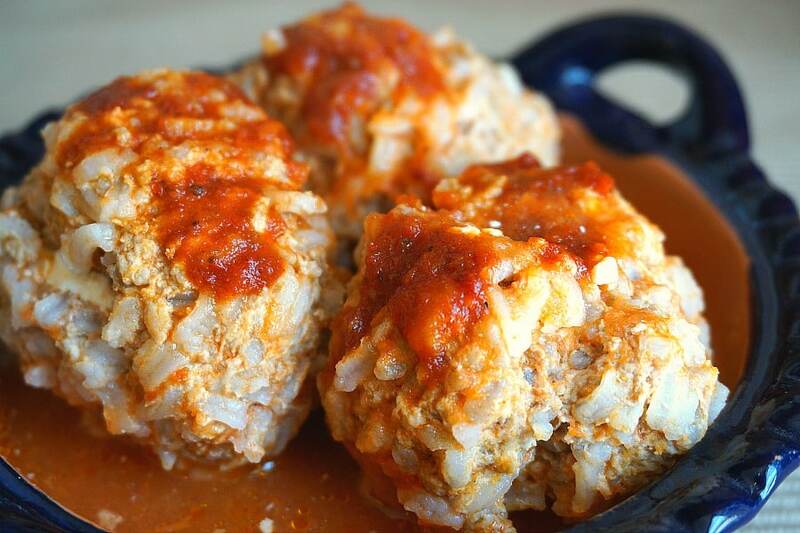 Meatballs, or albondigas in Spanish, are a favorite comfort food in almost ever culture. 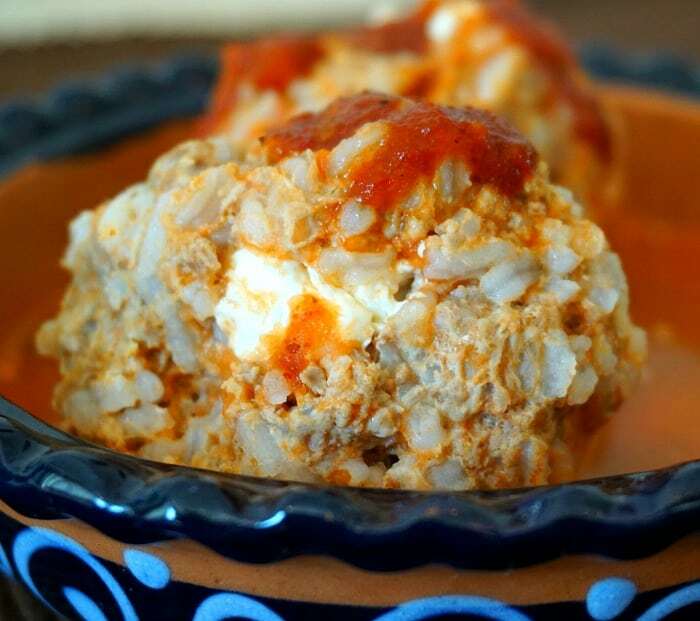 This version is a recipe adapted from a friend in Mexico, who makes them at the request of her family at least once a month. 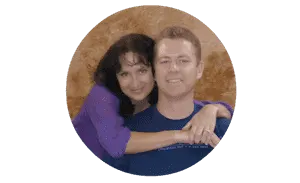 After preparing them together with her in our kitchen in Playa del Carmen, we can understand why. Her recipe combines rice along with equal parts of beef and pork to form the balls. They are then poached in a simple sauce made from fresh tomatoes and chipotle salsa. Chipotles are smoked jalapenos often preserved in a rich tomato sauce. My favorite part of the recipe is a the hidden surprise of melted cream cheese hiding inside each meatball. 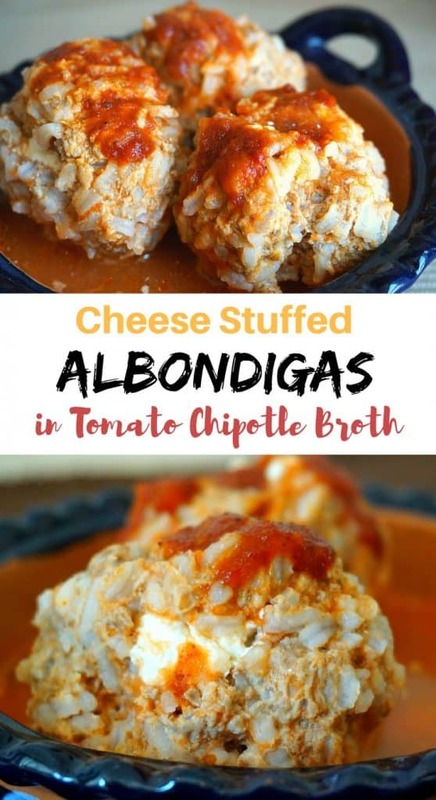 As you eat the albondigas, the cheese combines with the tomato sauce and it gets richer and creamier with every bite. Serve them with fresh tortillas to make mini taco bites and to soak up every bit of the sauce. Add the rice to 2 cups of salted water in a small sauce pan and bring it to a boil. Cook for about 10 minutes so that the rice is still al dente (about 10 minutes). Drain and put aside. Add the tomatoes, 1/2 onion, 1 clove garlic and 2 teaspoons of the chipotle salsa to a blender and process until smooth. You can substitute 1 chipotle in adobo sauce if you aren't able to locate the salsa in the international section of your grocery store. Add the mixture to large sauce pot with the olive oil over medium heat. In the mean time add 1/2 of the onion, 1 clove garlic, mint, cumin and the egg to a blender or food processor. Process until smooth. Combine the sauce with the ground beef, pork and rice (do not over-mix). Place a small ball of meat into the palm of your hand and form a well. Add about 1 tablespoon of cream cheese to the center and then add more of the meat mixture to form a 2 1/2 inch ball. Add the ball to the tomato sauce and continue until all of the meat mixture has been used. Add enough stock to the pot in order to completely cover the meatballs. Bring the mixture to a boil and then cover and reduce to a simmer. Add the bay leaves to the pot and allow the meatballs to poach for 30 minutes until they are completely cooked through. Serve in bowls with extra chipotle salsa and tortillas on the side.